Canada’s leading agricultural stewardship organization, CleanFARMS, is expanding its stewardship programming. 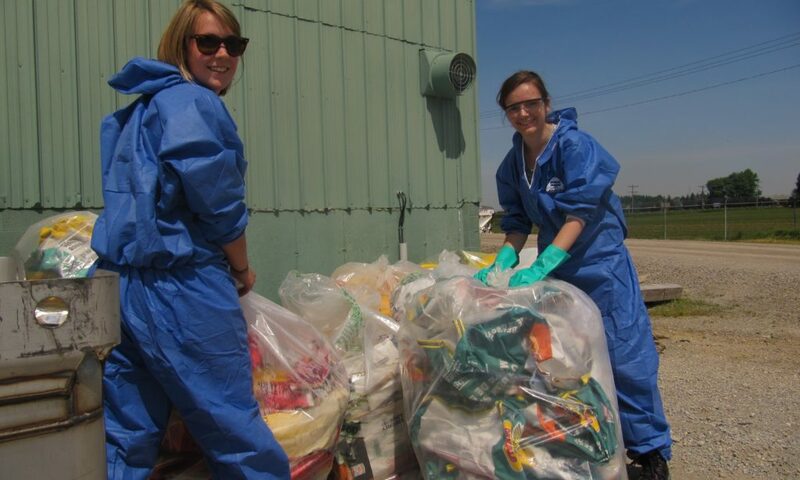 Starting in 2016, Eastern Canadian farmers will have access to a seed and pesticide bag collection program that will help keep these bags out of municipal landfills. This program draws its roots in the Maritimes where farmers, ag-retailers and stewards have been working together to collect and safely dispose of empty pesticide bags since 2006. The program then moved west to Ontario and Quebec where it was offered on a pilot basis in select regions from 2012 – 2015. The program will collect both small pesticide and seed bags (typically under 30 kilograms) and bigger bulk bags. The small bags are generally made of multi-walled paper though some manufacturers are using other materials such as plastic and plastic laminates. Most bulk bags (mainly 500 kg and 1000 kg) bags are made of woven poly-propylene plastic. Empty bags will be accepted back at the point of purchase which gives farmers easily accessible collection points. They are then disposed of through waste to energy incineration facilities. As the program grows, CleanFARMS hopes to move higher up on the 3Rs hierarchy by recycling of the bags. The key to recycling some of these bags will be to ensure a consistent and adequate supply of the bags. CleanFARMS and its predecessor CropLife Canada, on behalf of the agricultural industry, have been operating extended producer responsibility (EPR) programs for over 25 years. This new program shows that the agricultural industry embraces EPR and incorporates the practice as normal business practice. In 2014, 197,000 bags were collected through the program. This is in addition to the 4.5 million containers that came through CleanFARMS’ award-winning empty pesticide and fertilizer container recycling program. To round off 2014, 224,000 kilograms of obsolete pesticides and 5,000 kilograms of obsolete livestock medication were collected and safely destroyed. CleanFARMS now joins agricultural stewardship organizations around the world offering EPR programs on a voluntary basis with results rivalling most regulated programs.